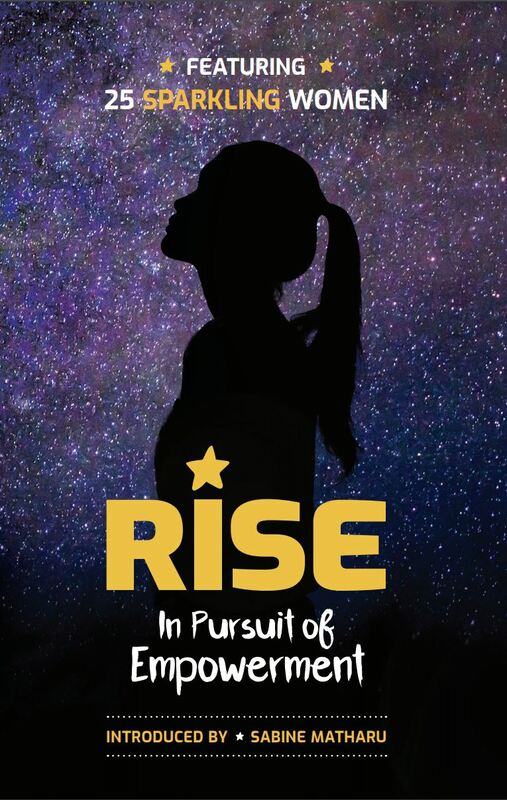 Written for and by inspirational entrepreneurial women whose hidden creativity and business acumen is eager to come out despite facing an array of traumatic experiences, mindset and domestic battles, RISE – In Pursuit of Empowerment, published by Reach for Greatness Ltd., is a beacon of hope for all women. Through the incredible stories of 25 women, you will learn that while obstacles are a given, you also have what it takes to rise above challenges, create a space and niche for yourself and turn impossible experiences into incredible opportunities that are profitable and fulfilling at the same time. RISE – In Pursuit of Empowerment, the first in a series of 4 books, will teach you:- How to tap into your intuition and inner strength to overcome stress, grief and trauma – How to take the challenges you have and turn them into opportunities – How to rise above the noise and come out victorious – Why your inner woman is a force to be reckoned with and – How to overcome substantial obstacles to live a more fulfilling and well-balanced life. 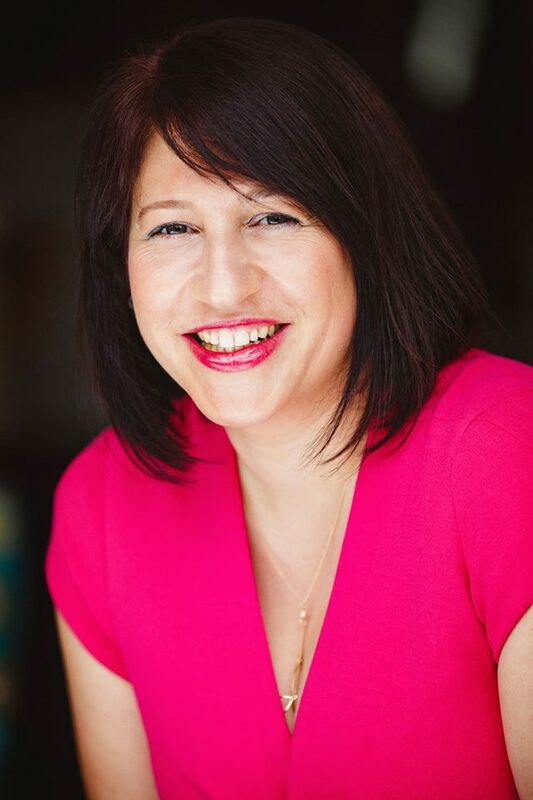 Sabine Matharu is a passionate business start-up and growth strategist, who specializes in helping women find their purpose and monetize their unique skills so that they can build a thriving business. Her signature program is “The Business Accelerator Mastermind”, that teaches and supports entrepreneurs to implement an easy to follow methodology around how to build a long term profitable business without overwhelm and detours. She firmly believes that it is possible to reach for the greatness that is within ourselves. One woman’s journey to traverse the highest peaks in all 50 US States leads to a nearly decade’s worth of stories and memories in author Jane T. Bertrand’s You Started WHAT After 60? Highpointing Across America. Here is the synopsis. ITCHING FOR A CHALLENGE when she turned 60, Jane Bertrand set out to reach the highest point of each state. Her strategic mistake was to start with the easiest ones, leaving the most strenuous for the end of this decade-long quest. She recruited over 50 family members, colleagues, and childhood friends to join her in making this the experience of a lifetime. Jane Trowbridge Bertrand is a professor at the Tulane School of Public Health and Tropical Medicine. A Maine native, she moved to New Orleans over 40 years ago where she and her husband Bill raised their children, Katy and Jacob. Her recurrent travel to Africa in connection with international family planning work generated many of the frequent flyer miles that made this highpointing pursuit possible. This was such a unique and inspiring book to read. This nonfiction, sports and senior travel novel showcased not only the sport of high pointing and the various goals, classifications and challenges that go along with it, but it showed the strength and resilience it takes to complete such a task. Despite many challenges and alternate hiking routes/mountains that needed to be taken, the goal was the pursuit of this challenge, and showcased how anyone labeled a senior citizen can still accomplish seemingly impossible tasks. Although a fairy short read, the amount of detail and the writing itself was brilliant in this book. Breaking each chapter down by the mountains climbed and the difficulty of the climb itself, to bringing in memories of family and friends, as well as the travels themselves and the companions who joined her, made this not only an inspirational story and unique take on high pointing in general, but a personal story at that. 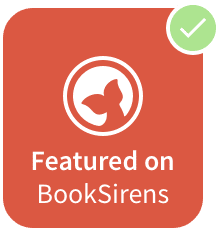 This allows readers to connect with the author in a whole new way, and made this quite an enjoyable experience. Overall I loved the tale. A true story of overcoming the odds and adversity as a strong and powerful woman tackles an often overlooked sport and challenges herself to this task, readers who enjoy hiking, high pointing and stories of fighting against all odds will absolutely love this tale. If you haven’t yet, grab your copy of You Started WHAT After 60? Highpointing Across America by Jane T. Bertrand today! Jane Bertrand traces her love of hiking back to Girl Scout Camp Natarswi, located at the foot of Katahdin in Maine, the Northern terminus for the Appalachian trail. After attending college out of state, she would return annually for her two-week sacrosanct vacation in Maine. Over the years she would continue to climb Katahdin, first with her sisters, later with her own children, and finally with adult friends who shared her love of the mountain. Yet not until age 60 did it occur to her to expand her annual expedition up Katahdin to a quest to reach the highpoints of the 50 states. When she started this project of “climbing a mountain in every state,” little did she realize that the Highpointers have a Club, Foundation, website, and annual convention. During most of her adult life, Bertrand stayed in shape by jogging three times a week, but she was no elite athlete. When at age 60 she began her highpointing pursuit, she got off to a lackluster start, achieving only 11 high points in the first six years, and almost all of those were “easy.” As she advanced to her mid-sixties, the race against time begin. Despite minor setbacks with runner’s knee and bunions, she pushed ahead – her interest in highpointing evolving into an obsession and finally an addiction. As she faced mountains of increasing difficulty – that she had unwisely left to the end – she accelerated her exercise routine in hopes of meeting the challenge. Initially, she assumed that her full-time job at Tulane University, both teaching classes and traveling to Africa in connection with her international family planning work, would be a deterrent to reaching the highest point of every state. Midway through this journey, she realized it was actually a facilitator, as she traveled through different Delta hubs en route to her work in the Democratic Republic of the Congo. Over the course of this decade-long pursuit, Bertrand recruited over 50 family members, colleagues, and childhood friends to accompany her on this journey. They ranged in age from 4 months to 71 years. Some she hadn’t seen for over 40 years, others she met on the day they highpointed together. Jane Bertrand received her B.A. (French) from Brown University in 1971, her PhD (Sociology) from the University of Chicago in 1976, and her MBA from Tulane University in 2001, Bertrand has lived in New Orleans, Louisiana with her husband Bill Bertrand (also a Tulane professor, affectionately known as the “Cajun Chef”), where they raised their two children, Katy and Jacob. She has come to love her adopted city: the jazz, the food, the beauty of Spanish moss and tropical plants. She is also a member of the all-female Krewe of Muses, a group that parades every year during Mardi Gras. Fellow author Fiona Ingram reviews the adventures story of Jane T. Bertrand’s experiences highpointing across America in “You Started WHAT After 60?”. Readers won’t be disappointed in Ingram’s review or Bertrand’s memoir! Crystal Otto couldn’t wait to get her hands on Jane T. Bertrand’s story about highpointing across America! This busy farmer seldom leaves the farm and enjoyed every moment she experienced reading “You Started WHAT After 60?”. Find out more in her book review at Bring on Lemons today! 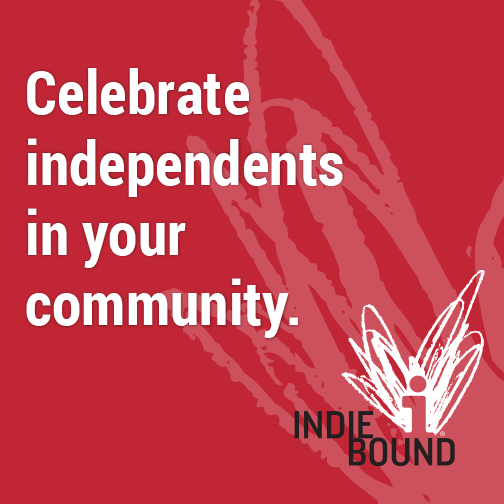 Learn more about Jane T. Bertrand as she is interviewed by Cathy Stucker at Selling Books. You won’t want to miss this insightful interview about Bertrand and her memoir “You Started What After 60? Highpointing Across America”. Author, Editor, and Reviewer Margo Dill shares her thoughts after reading the inspiring memoir “You Started WHAT After 60?” by Jane T. Bertrand. Description:Author Anthony Avina reads and reviews “You Started WHAT After 60?” – by Jane T. Bertrand. Readers won’t want to miss this adventurous memoir about highpointing across America. Michelle DelPonte offers her point of view after reading “You Started WHAT After 60?” by Jane T. Bertrand. Find out what this Wisconsin wife, mother, and autism advocate has to say about Bertrand’s recount of her adventures! Description:Fellow memoirist Madeline Sharples shares her review of “You Started WHAT After 60?” by Jane T. Bertrand. Readers at Choices will be thrilled by Bertrand’s adventures in highpointing across America! Sreevarsha reviews the inspirational book “You Started WHAT After 60?” by Jane T. Bertrand. Don’t miss the opportunity to learn more about Bertrand’s adventure highpointing across America later in life. Description:Nicole reviews and shares her thoughts after reading the thrilling account of Jane T. Bertrand’s adventures in highpointing across America in “You Started WHAT After 60?”. Join readers at World of My Imagination and find out more about this great read and inspirational author! Toni Cox, author of The Elemental Trilogy series has decided to rebrand and here is what they look like Elemental Rising Maia, Elf princess of Elveron, has studied for almost a century to become a Prime Elemental but, when she finally completes her final test, which she had to take on Earth, something unexpected happens, and she brings with her the very thing she tried to leave behind. Now she is faced with responsibilities she thinks she is not ready for, a love she does not reciprocate, and a threat to her people that might kill them all. Young, inexperienced, and unsure of her powers, she only has her desire to save her people that drives her into battle. But she is not alone. She has her mentor, Silas, and her dragon, Midnight, who stand by her side as she embarks on an adventure to save not just herself, but the rest of the nation of Grildor as well. Elemental Betrayal: The nation of Grildor still reels from the War of Greystone. They spent the winter Moons mourning their dead. Now it is spring and time to drive the last of the enemy off their planet. Maia has sunken into a pit of despair during the harsh Moons of Winter, not only mourning the people that died, but also the absence of Blaid. Would he ever come back to her? Lord Longshadow, Lord Regent of Grildor, decides it is time to act and sends Maia and Jaik as ambassadors to the various cities within Grildor. The aim is to reassure the people that the Longshadow Clan is there to protect them, but as Maia and Jaik travel, they learn that the situation is far worse than they had anticipated. They have been betrayed and their nation is threatened with war a second time. Desperately, she searches for the strength to save her people. And, although she has her dragon, Midnight to help her, the responsibility of being a Prime rests heavily on her shoulders. Will her magic be strong enough to save them this time? Forbidden Elemental Two battles are behind them and now the true war with the Vampyres is about to start. Elveron will succumb unless the Prime Elementals can become as one. Maia deserts her people to find Blaid, for only as one will they have the power to defeat the Vampyres amassing at Greystone. It is Forbidden for them to be together and yet their connection is all that stands between victory and eternal defeat. With her dragon, Midnight, Maia sets off on a journey that will change the future for everyone. Lord Longshadow, the Lord Regent, invokes the Rule of Kings and travels to every country of Greater Grildor. He needs the Lords to pledge their armies. Jaik Longshadow rules in his father’s stead and faces the greatest test of his life, while Aaron Nightingale, believing he is the reason Maia left, races across Grildor to find her. The arrival of winter means the Vampyres will be less active. Amid snow and ice, it is time for Elveron to prepare. But the Vampyres have a different agenda and winter will no longer stop them. As desperation and fear takes hold, Maia understands that to save her people she needs a new plan. Will Blaid help her? Will she have enough time? WHAT OTHER SAY ABOUT THE ELEMENTAL TRILOGY? Born in Germany in 1976, Toni Cox moved to South Africa in 1991. Although she has spent much of her working career in the timber wholesale business, she is also an accomplished horse rider, has a diploma in project management, photography, and nutrition, and has a passion for books and all things fantasy. From a young age, her dream had always been to put her imagination into words – give the stories life. When she was diagnosed with Rheumatoid Arthritis in 2013, she decided life is too short not to follow her dream. So, with the support of her husband and three children, she began writing book 1 of the Elemental Trilogy in January 2015. Toni Cox writes: Epic Fantasy – The Milky Way Chronicles (including The Elemental Trilogy), Young Adult Fantasy – (including The Elemental Short Stories), Sci-Fi Fantasy – The Andromeda Saga, Fantasy – The Dragonlore Series, Dystopian Fantasy – these are set on Earth, the first one (Resilient) will be released in 2019). Curiosity. I often think the topics I write about find me. I have a series of archaeological-themed picture books about a young girl who is fascinated by history. Archaeology is one of my passions and when I can, I join a dig. I have a book for middle-grade readers that takes place in an olive grove, and last year I spent a day raking olives off the trees onto mats and scooping them up into crates. My writing has been labeled ‘realistic fiction.’ Research is my way of discovering new experiences. “Birds without borders.” I live in a country where there is a lot of conflict between people. And yet, when I visit the Hula Nature Reserve and I see all the different birds from all over the world swoop in to chat with each other (imagine a family dinner where everyone has to have their say), sharing food and finding a place to rest, I think of how we could learn from nature about living together peacefully even if the ‘peace’ can get quite noisy. Writing a picture book is like writing poetry. I have published a few poems and when I’m stuck on a project I always reach for my poetry anthologies. I enjoy the challenge of finding just the right words to create an image. One of my favorite books growing up was Madeline. I loved Madeline’s independent spirit and the illustrations that accompany the text. The combination works for me. I’d love to chat with Alexandra and ask her what it feels like to sail above looking down on us. She’s been to places I’ve always dreamed of going to see. I’m really enjoying this WOW blog tour (and someone has already written me to ask how to join one). I use Facebook but the contacts I have all know me. This blog tour has allowed me to get in touch with people outside my circle. I’m on Instagram and Twitter but in truth don’t know how to use them all that well. I find that social media takes a lot of time and it’s time taken from my writing. I haven’t figured out the balance yet. Perseverance! It’s less about ‘write what you know’ (the old adage) but write about what excites you and what you want to learn about. Challenge yourself and discover new experiences. I’m working on a cozy mystery for adults that is set in Canada. It’s presently in submission through my agent. Lots of plotting goes into constructing a mystery and it’s a new genre for me, but I’m loving it! 50% Off On Over 100 Books! In All Eyes on Alexandra, young Alexandra Crane is terrible at following her family in their flying Vee. She can’t help it that the world is so full of interesting distracting sights! When it’s time for the Cranes to migrate to Israel’s Hula Valley for the winter, Alexandra is excited but her family is worried. Will Alexandra stay with the group, and what happens if a dangerous situation should arise? Might Alexandra—and the rest of the flock—discover that a bad follower can sometimes make a great leader? Based on the true story of Israel’s annual crane migration. All Eyes on Alexandra is available to purchase on Amazon, Barnes and Noble, Target and Thrift Books. Anna Levine is an award-winning children’s book author. Like Alexandra Crane, the character in her latest picture book, she loves to explore new worlds. Born in Canada, Anna has lived in the US and Europe. She now lives in Israel, where she writes and teaches. Chiara Pasqualotto was born in Padua, in northern Italy, currently teaches illustration and drawing classes to children and adults, in particular in Padua during the summer at the Scuola Internazionale di Comics and in Rome. Since 2008 she’s been living in Rome and working with illustration professionally: her first picture book, Mine, All Mine! was published in 2009 by Boxer Books (UK), since then she published with Oxford University Press, Giunti, Terranuova and some American publishers (Paraclete Press, Tyndale, LearningAZ, Kar-Ben Publisher). What goes better in the morning than a muffin? Make sure you visit WOW’s blog today and read an interview with the author and enter for a chance to win a copy of the book All Eyes on Alexandra. Visit Cassandra’s blog where she shares her thoughts about Anna Levine’s picture book All Eyes on Alexandra. Visit Erik’s blog where you can read Anna Levine’s guest post about how to jog your inspiration. Grab some coffee and visit Lacey’s blog where you can read her review of Anna Levine’s picture book All Eyes on Alexandra. Visit Anthony Avina’s blog today where he joins in the fun of celebrating and shares information about Anna Levine’s book All Eyes on Alexandra. Visit Christy’s blog and cozy up while you read her review of Anna Levine’s picture book All Eyes on Alexandra. Visit Lacey’s blog again where you can read Anna Levine’s guest post about designing your ideal writing spot. Visit Christy’s blog where you can read Anna Levine’s blog post about how she decided to use crane’s in her story. Visit Pamela’s blog where you can read Anna Levine’s guest post about how authors use anthropomorphic animals. December 11th @ Read. Write. Sparkle. Coffee. Make sure you visit Jeanie’s blog today and read her thoughts about Anna Levine’s book All Eyes on Alexandra. Visit Anthony Avina’s blog where he interviews Anna Levine, author of All Eyes on Alexandra. December 13th @ Read. Write. Sparkle. Coffee. Make sure you visit Jeanie’s blog today and read Anna Levine’s guest post about building a theme day around a picture book. Visit Erin’s blog where she shares her thoughts on Anna Levine’s book All Eyes on Alexandra. Visit Deirdra’s blog where she features Anna Levine’s book All Eyes on Alexandra in a spotlight post. Stop by Nicole’s blog today where you can read her review of Anna Levine’s book All Eyes on Alexandra. Visit Cassandra’s blog again where you can read Anna Levine’s blog post about naming your characters. Make sure you visit Linda’s blog today where you can read her thoughts about Anna Levine’s book All Eyes on Alexandra. Visit Fiona’s blog where you can read her review of Anna Levine’s book All Eyes on Alexandra. Make sure you grab some lemonade and stop by Crystal’s blog today where she reviews Anna Levine’s book All Eyes on Alexandra. Visit Linda’s blog again where you can read her interview with author Anna Levine. Visit Beverley’s blog today you can read her review of Anna Levine’s book All Eyes on Alexandra. Visit Wendi’s blog and read Anna Levine’s guest post on learning about families and different cultures. Visit author Anthony Avina’s blog where he shares his thoughts about Anna Levine’s picture book All Eyes on Alexandra. Visit Beverley’s blog again where you can read Anna Levine’s blog post about getting into the head of your middle-grade characters. Visit author Anthony Avina’s blog again where you can read Anna Levine’s blog post about using fiction to write non-fiction. Visit Wendi’s blog again where you can read her thoughts about the book All Eyes on Alexandra by Anna Levine. 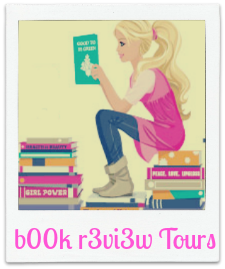 I am proud to share with you guys the official blog tour promotional post for author Anna Levine’s “All Eyes On Alexandra”. 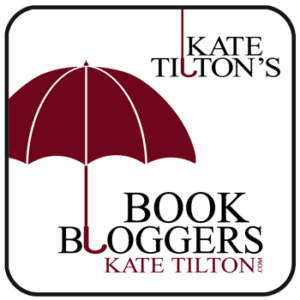 Take a look at this amazing book and mark your calendars as this tour visits not only some truly wonderful bloggers and websites, but also returns to my website throughout the tour with an exclusive interview, review and guest blog post in the weeks to come. Enjoy!